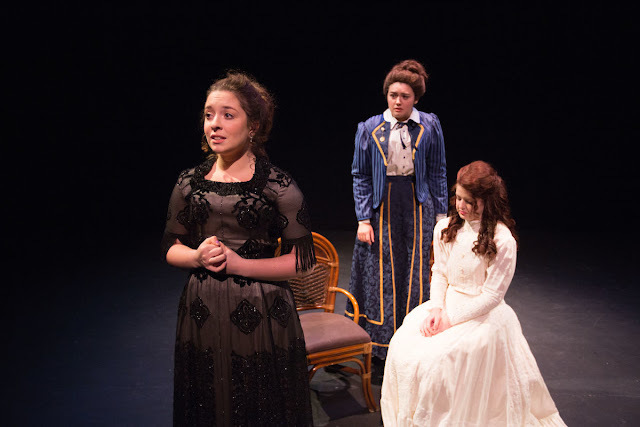 It was one of those happy coincidences that when I was in Sydney the STC (Sydney Theatre Company) happened to be performing one of Chekhov's plays. 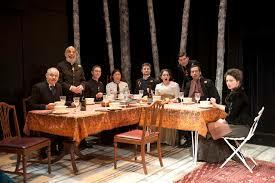 There was a time, a few years back, when I had finished reading the Cherry Orchard only to discover that that particular play, produced by the Melbourne Theatre Company, had just finished the week before. Needless to say I was sorely disappointed. Okay, while traveling to Sydney just to see a play may sound like a needless expense, it certainly doesn't come close to traveling all the way to London just to see Les Miserables. Anyway, I was planning on going to Sydney anyway, it just happened that this play coincided with my trip there (as well as an exhibition at the Art Gallery of New South Wales on the Dutch Grand Masters - though unfortunately, or should I say not surprisingly, the collection on loan from the Rijksmuseum didn't include the Night Watchman). One of the things that I have noticed is that, with the exception of Shakespeare, I tend not to be all that familiar with the plays of other playwrights. This can cause a problem when I am attempting to sort out the gems from the rubbish that happens to be the mainstay of the Australian theatre scene. Then again, I'm probably close to a friend of mine in that I tend to be a bit of a theatre snob in that I simply do no like contemporary plays, or contemporary playwrights. However, this dislike probably doesn't go to the extent of my friend who will walk out of plays in disgust, but then again, as he has mentioned, you simply can't compare Broadway, or even an American Shakespeare festival, with the Australian theatre scene, and when you don't have the luxury of traveling to the United States once or twice a year then you are probably going to have to grin and bare it. You can find the full text of the play on Project Gutenberg, and if you are game, the original Russian is here. 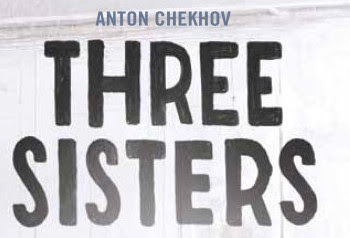 The Three Sisters is set in a provincial Russian town, which seems to be a staple of Chekhov, but then again he was born and raised in provincial Russia. However, the three sisters were originally from the metropolis (most likely Moscow) but had moved here since their father had received a commission in the army and had been stationed at the base here. However, this particular version was supposed to be set in the 70s, yet the style was so vague that it did have something of a timeless quality about it. In a way it could have been the 1970s, but then again it could have been much, much earlier. Further, the location is kept deliberately vague, though since it was snowing on New Years Eve, it was clear that they had set the play in the Northern Hemisphere. 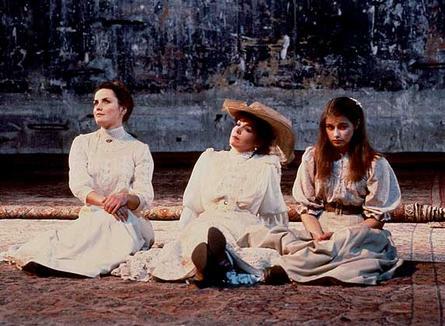 The play is about Three Sisters (and one brother), and stretches over a period of five years. Well, after watching it (and having read it previously), I do feel that five years is a little too short to really capture the brutality of time, but that is something that I will touch upon a little later. Anyway, the play begins after the sibling's father has died and is on the birthday of one of the sisters (and also the first anniversary of their father's death). Anyway, before I continue further I should probably mention a few of the characters. First of all we have the siblings, the three sisters Olga, Masha, and Irina the youngest, and their brother Andrei, who is the second youngest. Olga is a school teacher, and Masha the artist. Masha is also married to Feodor, who is somewhat older than her, and is also a school teacher. Initially she was enchanted by his charm and grace, but soon become board of him. Andrei is in love with Natalia, who is actually somewhat of a commoner. Like his sisters, Andrei is an intellectual, and seems to actively be pursing somebody beneath status. Then we have the soldiers, who serve as a counter balance to the sisters. There is Vershinin, who happens to be the commander at the base, and is also married, however he is facing problems in his marriage and ends up having an affair with Masha. Tuzenbach is the second in command, and is not considered particularly handsome. However, for much to the play there is a tension between him and Irinia, and a constant back and forth between romance and repulsion. Finally, we have Solyony, who actually comes across as a bit of a Baldwick from the Black Adder fame. He is also in love with Irinia, however she is repulsed by him, and after his declaration of love for he she does her best to avoid him. So, the play takes place over four scenes, and over four significant events. The scenes take place between 6 to 18 months apart, and the play chronicles the changes that take place over that period. In a way we watching one period, stepping back, and then returning at another point. 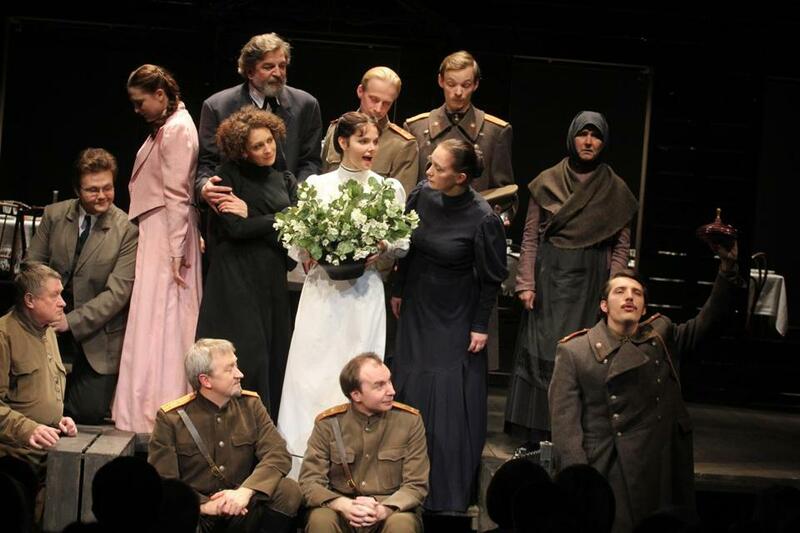 As mentioned, the play begins on the anniversary of their father's death, and Irina's birthday. Act two begins about 20 months after act one, and is set during New Years Eve celebrations. Natalia and Andrei are now married and it seems that Natalia is taking control of the household. 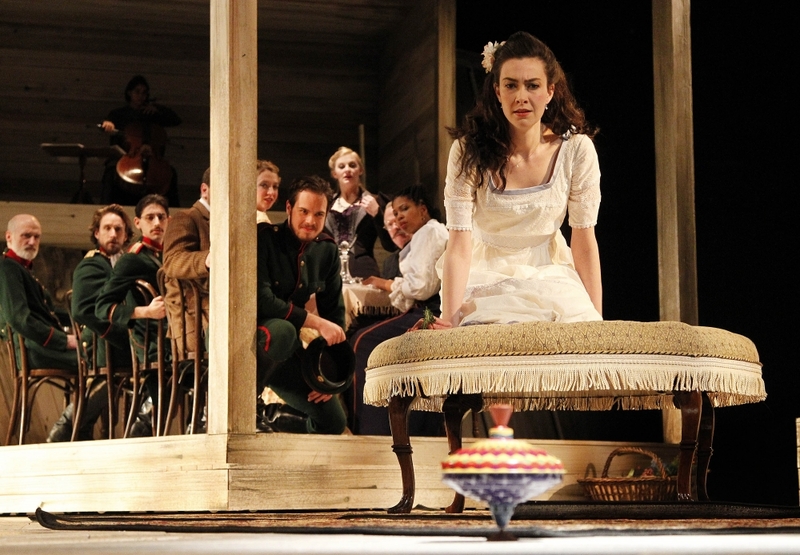 Act three takes place a year after act two and is set during a fire in the town, and the sisters find themselves moved into a single room, with Natalia taking over the rest of the house, and also tearing into their life long servant. We also discover that the house has been mortgaged to help pay off Andrei's gambling debts. The forth and final act is set some time after, and we have the soldiers leaving since the base has been closed down, and everybody is going their separate ways. When things change, all you have left are the memories. If there is one line that brings up what the play is about it is that line. However, this isn't change for the better, but rather change for the worse. When we are talking about change in The Three Sisters we are talking about change that comes about through decay. The town in which the play is set sounds like it would sit in the middle of the rust-belt, and could easily be set in a town like Flint Michigan. Throughout the play one thing after another is closing down - first the school, then the factories, and finally the military are moving out. In fact it is when the base is closed down that the town could officially be considered dead, and this is brought about even more by the sounds of planes flying over head. We seem to be seeing this with many of our country towns, even here in Australia. In fact there is the constant cry that regional Australia is dying. The government is attempting to change that, however whenever they attempt to move a department out into a regional location there are howls of protest. Yet we have seen that with the department of Agriculture being shifted to regional New South Wales, and a number of state departments also being moved out to the regions, particularly with the collapse of the car industry in Australia (one of Victoria's major regional towns - Geelong - used to be where the main Ford plant was, until it closed down). Yet we are also seeing the regions being devastated through globalisation, centralisation, and consolidation. The traditional small family farms are dying - it is impossible for the farmers to be able to stay afloat, especially with the major supermarket chains (and other companies) literally setting prices and cutting farmer's margins so that they have little choice by to go into debt. In fact one of my friends, who is a beef farmer, told me that it wasn't until the Chinese started to buy his beef that he began to make money, while another friend who runs a small scale sheep farm, does his own butchering and sells meet over Facebook. Yet the reality is that the smaller farms are being destroyed, and are being bought up by multinational conglomerates such as Simplot and Archer-Daniels-Midland. The traditional farmer is slowing disappearing, and even with the little to no profit margins, and the farm being mortgaged to the hilt, there is also the problem of technology. Technology is advancing so fast that the traditional farmer simply has to continue to renew his equipment least he fall behind in productivity. However, the conglomerates also have a distinct advantage over them since they have the capital, the reach, and the economies of scale, to be able to continue to reinvent themselves, where as the traditional farmer doesn't. The question, though, is whether this is change for the better, or change for the worse? 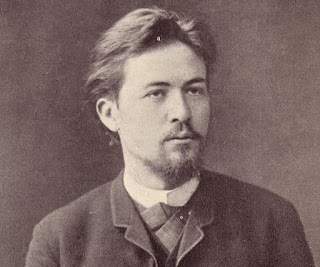 The thing with the plays of Anton Chekhov is that they tend to be as bleak and the Russian tundra. Well, some have suggested that that may be just a little too harsh since the play can also be seen as a comedy. Well, Trainspotting is a comedy, but in another sense it isn't, though I would not go anywhere near as describing Chekhov as writing black comedy (if even such a concept existed at the time). Sure, there are some parts that could be consider comic, but that usually comes down to the skill of the director. Further, much of the comic elements generally occur at the beginning, and tend to be interpretations of how the characters interact with each other. Yet, the other thing is that you need to soften the audience up somewhat (which is what happens in Trainspotting) to confront with the incredibly powerful ending. Time is not a kind master. In fact one of the themes that seems to be running through John Green's Youtube series on literature, is the inability to stop time, or even turn it back. The thing with time is that it continues moving forward, whether we like it or not, and it takes us with it. The other thing is that it changes us - by the year, the day, the hour, and the second. In fact in one moment time can completely shatter your dreams and bring your happiness to an end. One wrong choice, or one unlucky moment can have a chance to destroy you, yet time ever marches on - there is no stopping it. The characters are now looking to the future with wonder and dreaming, only to look back to what was. At the start of the play we have them looking back to their father's death, and as things move on they long for the brighter times. Yet we see the ravages of change that time is bringing on the community, with the closure of the factory, the university, and the base. Yet time marches forever on, and there is nothing that they can do to stop it, no matter how they try. This isn't a question of traveling in time, going to the future or returning to the past, but attempting to stop time, especially in those fleeting moments of joy, or to speed it up to escape those ever present times of grief and sorrow. That great party, that first kiss, that moment of exhilaration when you have succeeded and you feel that the world is your oyster. We want those times to last forever, yet for some strange reason they don't, and time moves forever on. It's not that we don't try to freeze time - we live for he weekend, go out to he pubs and clubs every night - we try to capture those times of joy and happiness, and when we can't we resort to drugs to take us back. Yet time marches on, we grow older, and the joy and exhilaration grow less and less, as we need more and more to maintain the joy. Remember that time when you were on top of the world, when everything seemed to be going your way. When you were young and capable of anything. You had got your foot in the door and the only way was up. Well, Chekhov did as well, and this is a play that we have received near the end of his life. In a way he was dying - he had tuberculosis - but his brilliance had just recently been discovered by the Moscow theatre scene after he had dropped out of literary circles a number of years before. Yet, time seemed to be against Chekhov because at this point he literally had one foot in the grave. However, he could look back at a time when he was young, and healthy, and had the potential to conquer the world - except that he hadn't. You see from a young age we are told that we can be what we want to be, that we have no barrier, and that it is only ourselves that can hold us back. In a way that is a lie, but it is also encouragement to help us succeed. In some places that is true - in Australia we are fortunate to have a decent school system, depending on where we live of course, and good universities. Yet not everybody, even in Australia, has the same chances and opportunities that I have. In fact I have the opportunity to retrain and go into a completely different line of work, and in that way I am incredibly blessed - most of my colleagues have no such luck. Yet, there was a time, when we got our first job, completed that degree, and it seemed that we could do almost anything. Then suddenly life takes a sharp turn, and we find that those dreams that we had are no longer being fulfilled. We had such hope in a child that eventually goes off the rails and disowns us, or we suddenly find ourselves in a dead-end job with no place to go, and an environment that wears us down day by day. Chekhov saw this, and knew this, since while he had seen some moderate success with his writings, his plays were never all that well received. We see this in the play with Masha, who was an artist and with Andrei, who was a philosopher - never came to all that much. In fact Irina cries over the fact that suddenly she has forgotten her Italian, and that the ravages of time are eating her up. In fact we are constantly reminded of the potential that Andrei had, only to throw it all away and simply become a town councilor - in fact not just any old town councilor, but the councilor of a town that is slowly dying. The girls were expecting so much more from him, particularly as a philosopher - they wanted him to rock the world with his brilliance, yet ends up only influencing the local community. Time also destroys relationships. Well, not quite since my parents are three years off their diamond jubilee, which in this day and age it quite an achievement. In fact I remember speaking to a friend once who was genuinely surprised that my parents were still together since with everybody she knew their parent's had split up. Then the question is raised as to how many weddings have we been to where on that wonderful day there is promise and blessings on a happy future and a long life together, only to discover that the marriage has broken down in a matter of years. In fact it seems that these days most people who get married are probably going to do so at least twice, which is a boon for the wedding industry mind you. So, we see this in the play, in particular with two relationships (and while there is a third, I won't touch upon it due to its tragic nature, and the fact that it is a huge spoiler). First we have Masha, who is said to have married young, and she married the intellectual Feodor, who for a while is the headmaster of the school, but ends up becoming just a teacher. He is absolutely smitten with Masha, and in fact spends half the play running around looking for her. The bleak final scene is the climax where we see him run onto and off of the stage, calling out her name, until he stumbles on the horrid truth. The thing is that Masha is having an affair, and has had been doing so for the last three to four years. It can be said that there is a mystique about a man in uniform, though I suspect that this may have been a form of cultural conditioning to attempt to increase recruitment rates into the armed forces (especially after conscription was ruled a big no no). However, it seems to go beyond this because the relationship is empty and loveless, at least from Masha's point of view - but then again that seems to be more of a flaw with Masha than it is with Feodor. In a way I don't feel that Feodor had done anything wrong, it is just that Masha had become bored. This is another thing that seems to be permeating around society - affairs are better than traditional relationships - but then again that has a lot to do with while it not being strictly illegal, it is generally frowned upon - the forbidden fruit always tastes so much better. Then there is Andrei and Natalia. Natalia is very controlling and domineering. Further, she is beneath their class, and was portrayed as such in the play for our modern eyes and brains to understand the contrasts. Here we have three well educated women, and their brother, who is equally educated, marries somebody who dropped out of highschool and works in retail. Okay, this doesn't ring all that well with us these days because if we were to look down upon somebody in that regards we would be accused (and rightly so) or intellectual snobbery. However, this was very much an issue in Chekhov's day. Yet we see how the marriage changes over the play. Once again, Natalia is the forbidden fruit, but not really so because there is some goading by the sisters for Andrei to make a move on her. Yet, once they are married, we suddenly discover that Natalia has sunk her claws into him, and is making her presence felt in the house. She chastises the house keeper for being too old and a waste of resources, and while she is rebuked by Olga, this rebuke falls on deaf ears. Then we have their room in act three, where we discover that due to the need to raise children, Olga and Illiana have been relegated to the smallest room in the house. So it is with relationships - Andrei has changed and is no longer the brother, but an alien under the control of somebody who clearly wants the sisters out of the house. While this relationship hasn't necessarily degenerated, it is clear that Natalia is what one would call 'high-maintenance'. She has a lot of demands on Andrei and his resources, which is probably why he has run up so many gambling debts. In a way this is probably a warning by Chekhov to his contemporaries as to why one shouldn't marry outside their class, while to the modern audience, once should be more circumspect as to who to enter into a life long relationship in the form of marriage, and try not to have one's judgement clouded by love (if that is all possible). The idea of home takes many forms. In a way it is more than just that place that we return to everyday after work, were we eat out meals and sleep, as well as watch television. In fact it is more than possible that that place ceases to be a home, whether it be due to those we share the house with, or due to some traumatic event that occurred there in the recent past. In a sense the concept of home is a place of safety, a place where you can cut yourself off from the rest of the world, and be confident that you will not be disturbed. This is why people whose house has been burgled no longer feel that that place is a home - in a way it has been defiled. Yet home takes another form in Three Sisters - home is a place of joy and happy memories, and that place unfortunately lies in the past. Iliana is always looking to return home, but unfortunately she cannot because that place of joy and safety lies in the past, and it is nigh impossible to return to that place. In fact many of us see the past in that light, and many of us desire to return to that past, but unfortunately we are unable to do so - this is why the idea of time travel premeates our culture because it represents a desire to return to a place that we are unable to do so. We are now a hugely mobile society, and I would argue that a part of this has something to do with our desire for a place to call home. It is not just moving houses, but also moving cities. In Iliana's case she grew up in the city, while in her mind was home, but was then rudely pulled out of that comfort zone to be taken to a country town. For the rest of the play she has this desire to return home, because she believes that once she returns to the city then everything will be so much better. However, there is no guarantee that this will be the case. In a way we spend our lives searching for a place to call home, but for some reason we are never able to find such a place - which is probably why we are slowly becoming a race of modern nomads. I'll finish this post off with a BBC version of the play starring Anthony Hopkins (from 1970). Here is a review, and some insights, on a production of the play in Bakersfield California. The trend of migration out of the countryside to the cities is a long term one - stretching hundreds of years. But it is only recently that the majority of humans live in urban areas. Kind of cool that you and I saw this same play within a few weeks. 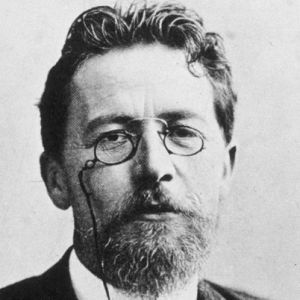 I really like (although that may not be the right word) Chekhov, who seems so relevant to our own times. That's cool. I'd actually like to see more of his plays, but they aren't performed as often as I would like them to.